Secretary of State of Georgia Brian Kemp. Photo by Office of U.S. Senator David Perdue. Thursday as more votes are counted races are being called such as the Georgia’s Congressional race between special elected Rep. Karen Handel (R) who won her Congressional seat last year during a special election and her activist Democrat challenger Lucy McBath. Mcbath prevailed defeating the special elected Handel. Handel offered her congratulations via Facebook. One race in Georgia that hasn’t been called nor has the candidate conceded is the nationally watched Governors race between Republican Secretary of State Brian Kemp and Democrat challenger Stacy Abrams. 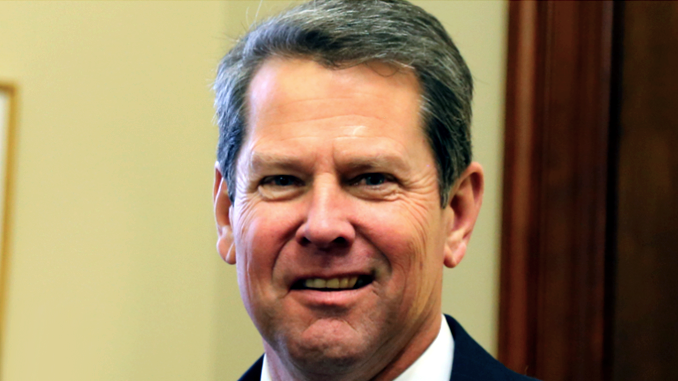 The race in Georgia has made headlines as Kemp refused to resign his position as Secretary of State the office that oversees elections and because of a recently passed law called the “exact match law,” that CNBC News reports left roughly 50,000 voter registrations on hold. On Sunday as the News Blender reported the Secretary of State’s office issued a statement that explained it was investigating the Georgia Democratic Party for committing cyber crimes.